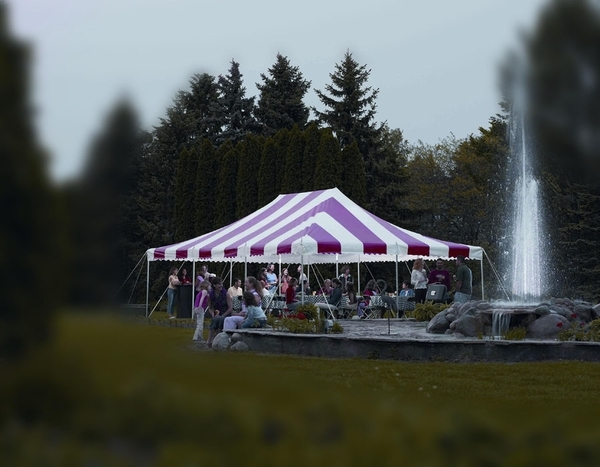 The Eureka Traditional Party Canopy with Translucent Top - 20 Foot x 40 Foot is a multi-function, all-weather, classically-styles short term shelter that can serve any function. Set up is simple, requiring only two people,not professionally trained installation experts,and relatively little time to set up and tear down. The Party Canopy is also both large and strong, its 800 square foot canopy held up securely by the frame's long side poles and reinforced joints and seams.